George M. Lutz - Allentown Bankruptcy LawyerHartman, Valeriano, Magovern & Lutz, P.C. 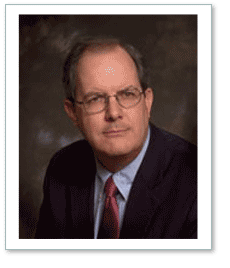 George M. Lutz is a Lehigh Valley and Berks County bankruptcy and collection defense attorney. George represents both creditors and debtors in all bankruptcy chapters. He can help you manage auto loans and mortgage debts, and resolve the burdens of student loan debt. What does it cost to file bankruptcy in Pennsylvania? What are my options when managing my debt? Can a bankruptcy stop my student debt payments, IRS debt, or an eviction? Can a bankruptcy save my home or my car? A native of Washington, DC, George worked in the Organizing and Research Departments of the national headquarters of the AFL-CIO, and represented the AFL-CIO, the Communication Workers of America, and the International Association of Machinists in organizing campaigns in California, Texas, and Pennsylvania. George earned a Bachelor’s and a Master’s degree in Civil Engineering from Cornell University, and a Juris Doctor from the University Of Maryland School Of Law. If you have any questions about debt relief, financial help, or bankruptcy – do not hesitate to call. 610-779-0772.